Great Question! If we want our young children to learn how to make good, healthy food choices, we have to lead by example, but as they get older, we also need to give them opportunities to learn to make these choices for themselves and feel empowered by the choices they make. One easy way to do this is to have school-age children participate in what goes into their school lunch. In our house, this has proven to be an easy way to encourage healthy eating and smart choices. 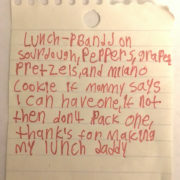 Since evenings and mornings can be busy, having our kids make their own lunches is not feasible. 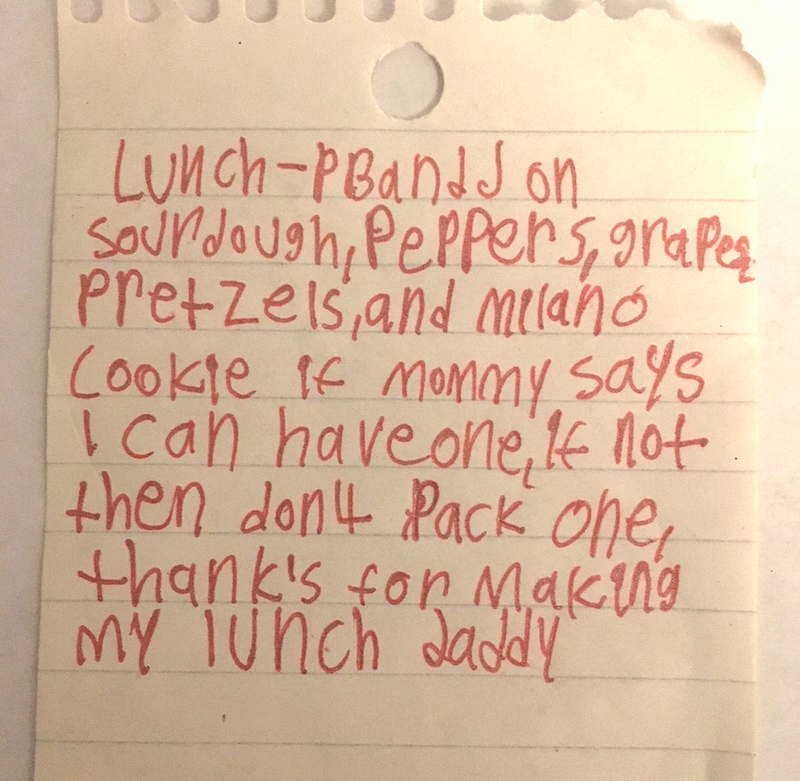 However, asking them to write out what they want in their lunches has proven to be an easy way to encourage and discuss healthy eating and smart choices. We call these “Lunch Orders.” It provides us with an opportunity to talk about healthy foods, and often involves compromise! It also gives us a chance to discuss and start to make the important connection for kids between what they eat and how it fuels their brain and body to do what it needs to do every day at school. It contributes to a family dialogue about how food choices impact what we do every day and how well we do it; from learning in the classroom, to concentrating on music lessons to playing sports.